So what, why is she telling us this? Well, let me tell you why I’m telling you. 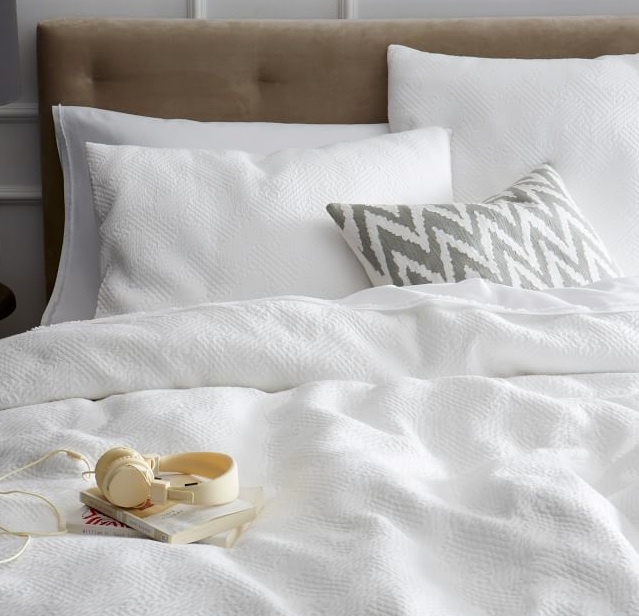 Have you tried to find a non-100-percent cotton duvet cover lately? I googled “cotton blend” and “polyester blend” and came up with either cotton or polyester… not both. But several years ago, my mom turned me on to cotton percale sheets that she said wouldn’t wrinkle like my cotton sheets did. Cotton-percale is also incredibly soft without the price tag of their Egyptian-cotton sisters with one billion threadcounts. To rewind, my current all cotton Tiffany-blue duvet cover has seen better days. I bought it when we moved into our house. It’s been just shy of nine years. It’s wrinkled, discolored, faded and generally looks like crap. I decided to convert to white because then my duvet cover can’t fade and washing it in my go-to OXY will keep it nice and crisp. Long story short, when I ran across this Matelassé duvet cover in cotton-percale at WestElm.com I was thrilled. And although “organic” was not a stipulation of said duvet cover, it can’t hurt right? Also, I love that it’s in a traditionally-French quilted design called Matelassé because… well, because I love all things French. I revisited my favorite hotel bed this weekend. My husband and I had a staycation for our 8th Anniversary, and stayed at this little hotel in Midtown. It wasn’t the “Presidential Suite” at some swanky high-rise hotel or a European-style room at a boutique hotel downtown. But it was the room I wanted at the Element Hotel, a cool, modern, extended-stay part of the Westin group, and home to the Westin Home Collection. 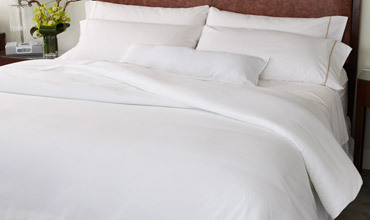 The king-sized bed has layer upon layer upon layer of white, down and high thread count Egyptian cotton. You can’t even imagine the fantastic night’s sleep you can get in this bed. And since I HATE my own new mattress, it is this Westin Home mattress and bedding that I dream about at night! And it’s possible to buy them… for a price. Last week was a big week. My littlest son became roommates with my older son, and that means we have our guest room back. And by guest room, I mean my old double bed that has the most amazing mattress on it that I have now adopted as my own again. Several years ago, I bought really cute bedding for that room. 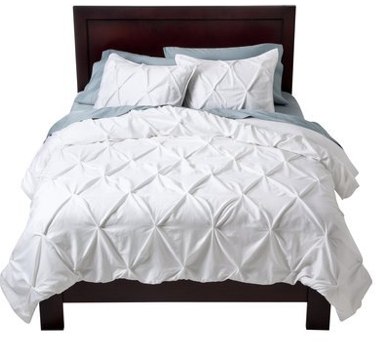 Tufted white comforter and shams from Target against dark furniture and pale green walls. I also bought white sheets with navy blue bands and big navy European shams with modern white edges. 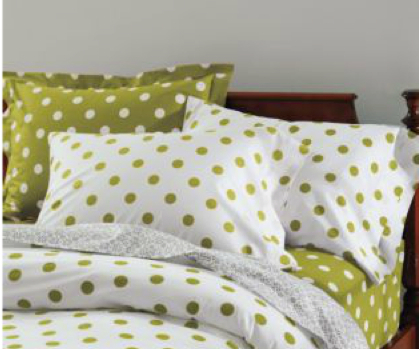 I love the blue and navy combination, but I’d love to throw some bright green polka dot sheets for fun too. At the time I set up this room, I couldn’t find these sheets. I should probably snap them up, while the gettin’s good!